It all started four months ago when Washington Green and Halcyon Galleries invited Paul Kenton to create several pieces of art in celebration of the 75th Anniversary for the Brazilian footballer and legend Pelé. “Having the opportunity to be part of this celebration is something else. I have strong family ties with Brazil so to be involved in such an event was overwhelming. The chance to paint a portrait of the great man himself was remarkable”. Paul is knows as a city-scene artist so when asked to paint portraits he relished the challenge. 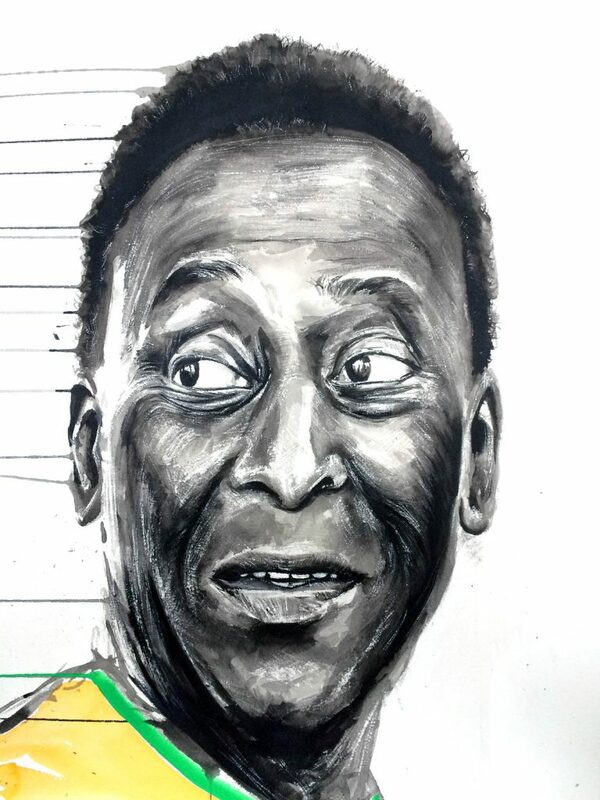 Paul was given a short time with Pelé to sketch, photograph and gather all the information needed. “Now was the hard bit, capturing the character and life of the man sat in front of me.” Paul’s goal was to create paintings that would grasp the essence of Pelé and resemble his astounding life. 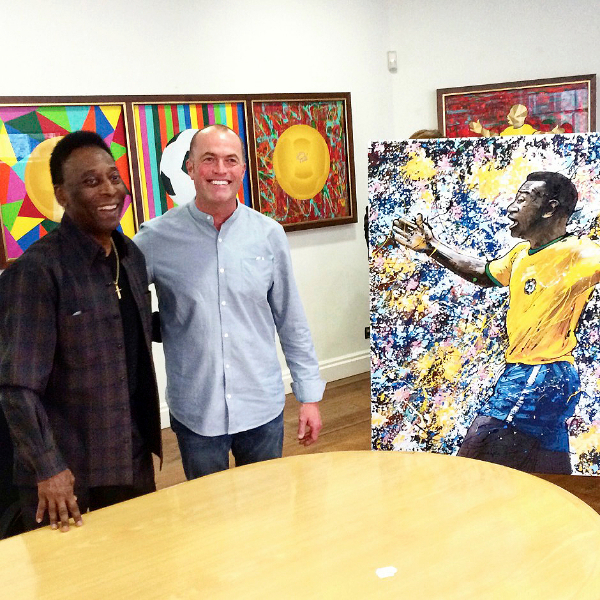 Due to Pelé being so highly regarded and loved, Paul wanted to create paintings the fans will be proud of. 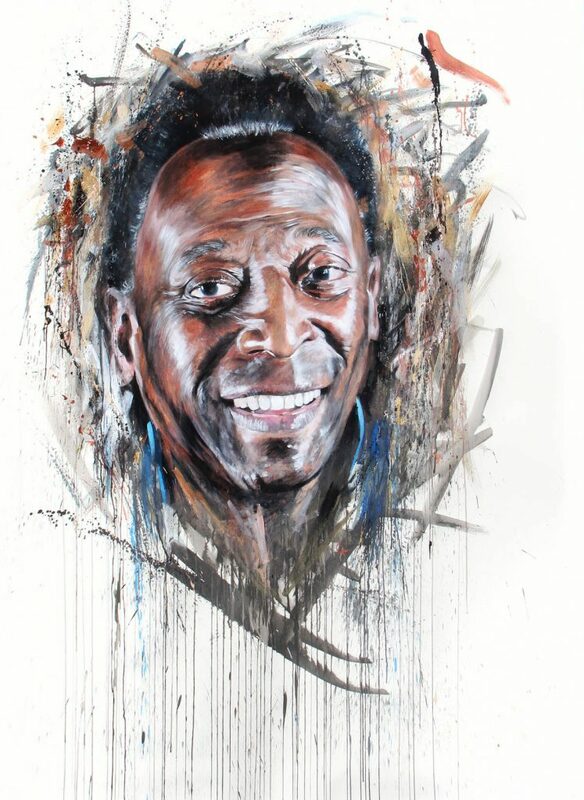 Paul’s painting of Pelé, with the backdrop of the crowds going wild and the colours of the passionate fans portrays a moment of glory that was repeated time and time again. Another idea came about when he was looking through his loft and came across an old Subbuteo set, Brazil vs. England. Paul re-molded the number 10 shirt to position Pelé in his signature overhead kick. “It was a delight to have met such a humbling gentleman that has time for everyone and is an inspiring sports hero of mine”. The Halcyon Gallery exhibition: Pelé Art Life Football, is open to the public from 26 September through til 18 October 2015. 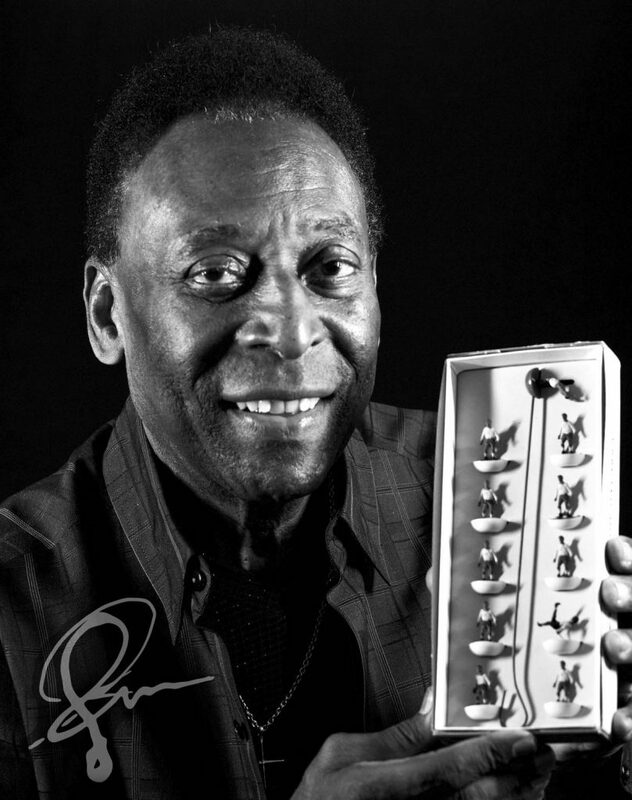 To view more information about the Pelé Art Life Football exhibition visit the Halcyon website.